Wisdom of the Moon: A Giveaway! Just a quick note to let you know that I've updated the portrait stamp tutorial with a new trick for transferring the image. It gives a much cleaner picture to carve from. 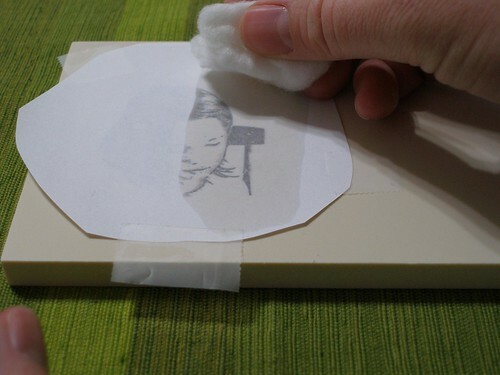 And since a couple of you seemed less than 100% confident about your ability to carve a portrait stamp, I've decided to make one lucky winner their very own stamp. From their very own picture. I'm going to keep the contest going for two weeks, ending on October 7th at midnight. You can enter once a day, but you've got to list a new project for each comment. Good luck and tell your friends (I've decided to give you an extra entry if you link to it)! Also- Remember to leave your email if your comment doesn't link back to your website. Or just be sure to check back here after the contest is done. Just in case you're the wiener. Ha! I'm new to your blog, actually coming because of your stamp tutorial! I'm definitely interested in trying to make my own stamp but wouldn't pass up an opportunity to have one done for us too! I actually have used your tutorials. I made the library gift set for my sister, which she loved! Thanks for the tutorials! I am impressed by your stamp carving. I know I couldn't do it myself. I like your tutorials. I've used the double hemmed corners and produce bags tutorials. They were very easy to follow. I also like reading the ones I don't use. I would love to have a stamp! I've read your tutorials-does that count? Well, that would be nepotism, so I will disqualify myself! But I did want to ask if you got the zucchini pickle recipe I sent you, and did you get a chance to try it? Wander to the Wayside... Oh, I forgot to thank you for that! I did get it, but haven’t tried it yet. Maybe I’ll get to it this weekend. I think I’ll go put it up in the comment section of that post so others can try it too. I haven't tried any of your tutorials, only because it takes me forever to get around to doing a thing, but I have them filed away for later. And the possibility of winning a stamp carved by you is way, way, way, WAY exciting! I haven't used a tutorial per se. But I've made your Jello shooters, Jimi's salsa and your deconstructed breakfast burrito with delicious results. As a matter of fact, I have some salsa in the fridge right now. I've used your produce bags tutorial with great success - I love the stamp tut...the last thing I sketched was a piece of plexi-glass in HS art class years ago ala lithographs. Pretty fun stuff. One day I'll really have to try this. It looks so cool. 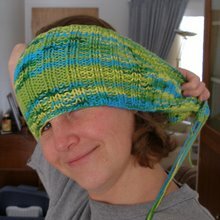 I love your tutorials, and your recipes, I have several in the hopper to try (most notably the library book bag). I first saw your blog via a link to the metal art strips post. I would love to try carving stamps but may not add new crafting supplies until I finish a couple UFOs. OMG!!!!! your work is absolutely amazing! I just found you on flickr so I had no chance to try any of your tutorials. But I'm sure I'll! Ok, well, OF COURSE I WANT THE STAMP! I'm still in the middle of trying your window shades! I promise pictures when I actually hang mine up. I'm a terrible procrastinator some times!!!! I totally want to try the stamp tutorial, actually, but I really like lots of your stuff! I really enjoy reading your blog... I have not tried one of your tutorials, but I sure will soon. I love those firework cake decoration, but it is not easy to get the ingredients in germany. I have tried making a stamp...and it looked pretty darn awful. I would love one made of my little girl. I just saw your site today, but all your tutorials look awesome! I like that monster cake ... my daughter's birthday is coming up, so I might try that one. Just found your site from dabbled - can't to check out more. OMG..I just tried $$$ organic deodorant: NOT GOOD. So I'm totally trying to make my own this time! Just found your site today...but excited to try out some of your turorials. Oh yeah...I'm going to use the magnetic picture hanger tutorial when we re-do the boys' bedroom over the winter. They currently are still in their toddler beds and daddy is getting up the gumption to make them loft beds so we'll be totally re-doing the room. I have not tried any of your tutorials but I would like to. The stamp is just great! First off I am glad that you are into some things that people don't even think about, I never would have known about the stamp. That is absolutely fabulous and like you said I am one of these people that would not be able to make one my self, so forever grateful for the chance to win one. I will also "try" some of the tutorials that you have. I just found your wonderful blog! I added your feed to my Bloglines account, but I will probably need a couple hours to go back through all your posts! I skipped around a little...your St. Baldrick's experience looks amazing! As a cancer survivor, I admire your charity! I already left a comment, but I just wanted to tell you that I have been using your recipe (that you got from somewhere else) for homemade deodorant and it is really good. Did you notice any residue issues on clothing? I'm not brave enough to try making my own stamp yet-- even though you make it seem easy :) Would LOVE to win one though! I have just finished up making the reusable grocery bags out of a bedroom sheet!! The tutorial pics were very helpful!! 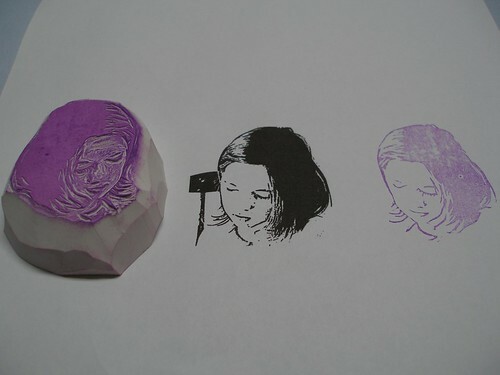 However, I don't believe that I am talented enough to make a stamp!! I just came across your blog. This tutorial is awesome. I hope I win so I can see how it is done by studying it in person!